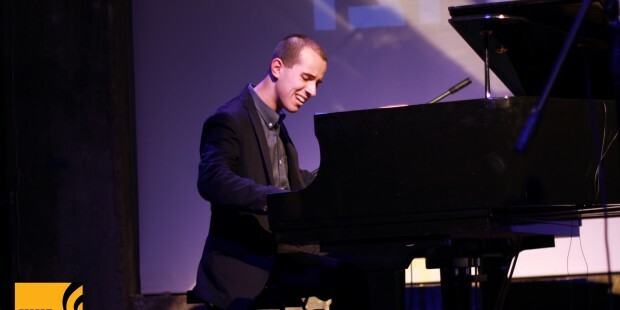 Tom Oren who studied at Rimon Berklee College of Music and Berklee College of Music, is the winner of this year’s Thelonious Monk International Jazz Competition. The honor includes $25,000 in scholarship funds and a recording contract with the Concord Music Group. Oren received the award at a gala concert at the Kennedy Center in Washington, D.C., on December 3. A native of Tel Aviv, Israel, Oren is a third-semester double major in film scoring and performance at Berklee, and is an alumnus of Berklee’s Five-Week summer program. He attended the Thelma Yellin High School of the Arts, the Israeli Conservatory of Music, and the Rimon School of Jazz and Contemporary Music. During his compulsory military service, he also played in the Israeli Air Force band. Since 2016, he has been a member of the Eli Degibri Quartet, whose leader is also a Berklee alumnus.